With the start of a new year, we all try and make promises to ourselves about our health, happiness and goals. This year, Vision Express is asking everyone over 40 in Ireland to make sure that healthy eyes are on top of their priority list with the launch of its Over 40s Eye Health Campaign. One of Ireland’s most trusted opticians, Vision Express commissioned a survey of 1,000 people across Ireland to find out if we really do take extra care of our eyesight as we age. The survey revealed that 81% noticed a deterioration in their eyesight when they reached an average age of 42. However, 60% of those over 40, and 52% of those over 60, haven’t had an eye test in over a year, and men are less likely than women to have a regular eye test. There are many ways our eyes age over time, but there are measures we can take to prevent and delay some of the negative signs of ageing. 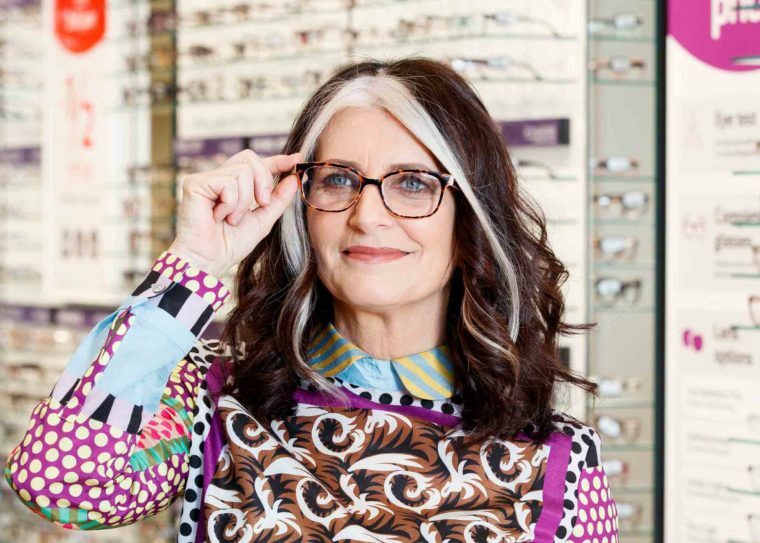 Given that 2 in 3 40 years old+ wear glasses / contact lenses and 90% of 60 year olds, Vision Express has launched this Over 40s Eye Health Campaign to raise awareness of the importance of regular eye tests to help diagnose and fight eye health issues as we age. After our 40s, our eyes change and one of the most common age related issues is Presbyopia – difficulty reading fine print or books, eyestrain and blurring of near objects. Almost 60% of the survey respondents said they struggle when reading, and almost half (49%) said they have difficultly seeing clearly when on the computer or watching TV. Presbyopia can be corrected easily with glasses or contact lenses, with a combination of options available, including varifocals, bifocals or separate reading glasses. From 9th January until 26th February, Vision Express is offering 50% off varifocals, with the purchase of any adult glasses, so now’s the perfect time to book an eye test and take advantage of this special offer. Glaucoma is another eye related disease that mostly affects those who are over 60. Given Ireland’s growing and ageing population, the number of cases in Ireland is expected to rise by 33% over the next ten years*. Glaucoma is symptomless at first and a regular eye test is the only way to detect it. Over 90% of individuals who are diagnosed early will retain some useful sight, but late diagnosis can result in total blindness. Over 40s Eye Health Campaign ambassador, Cathy O’Connor, launched this eye health awareness initiative in the new Vision Express Henry Street store, which has just relocated to 43-44 Mary St, North City, Dublin 1, Henry Street, Dublin. For information on Vision Express please go to www.visionexpress.ie, or follow on Twitter or on Instagram or like Vision Express on Facebook.